Have you tried working with wire (maybe you tried Wire Wrapping for Beginners) and are ready for something a bit more challenging? 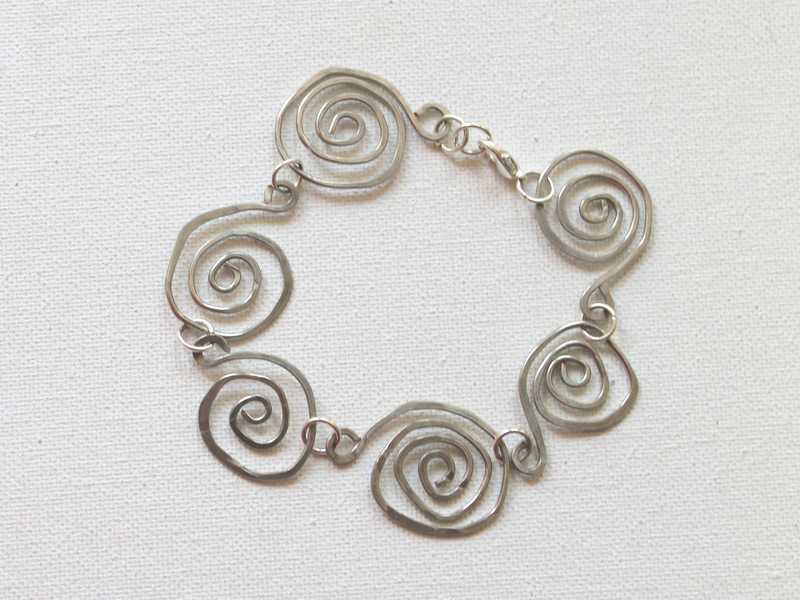 Want something to go with your Beaded Spiral Pendant? Learn how to make this pretty, unique and impressive bracelet in my Spiral Bracelet eWorkshop. 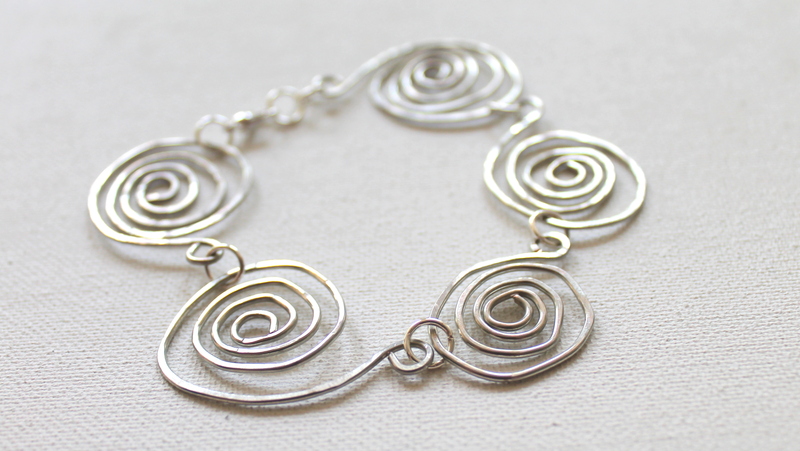 You can make this bracelet, too! I’ll teach you everything you need to know to be successful! You’ll need 14 gauge dead soft wire, jump rings, a lobster clasp, chasing hammer and steel block or anvil, round nose pliers, chain nose pliers, bent nose pliers (or another pair of chain nose pliers) and wire cutters. Virtual workshop – you get the benefits of an in person workshop without the expense and hassle of going to one. Plus you can take this anytime you like! You can return to this eWorkshop again and again. You’ll learn how to make this cool bracelet. You also get a PDF eBook with clear, concise instructions and up close photos and everything you need to know to successfully complete the projects. 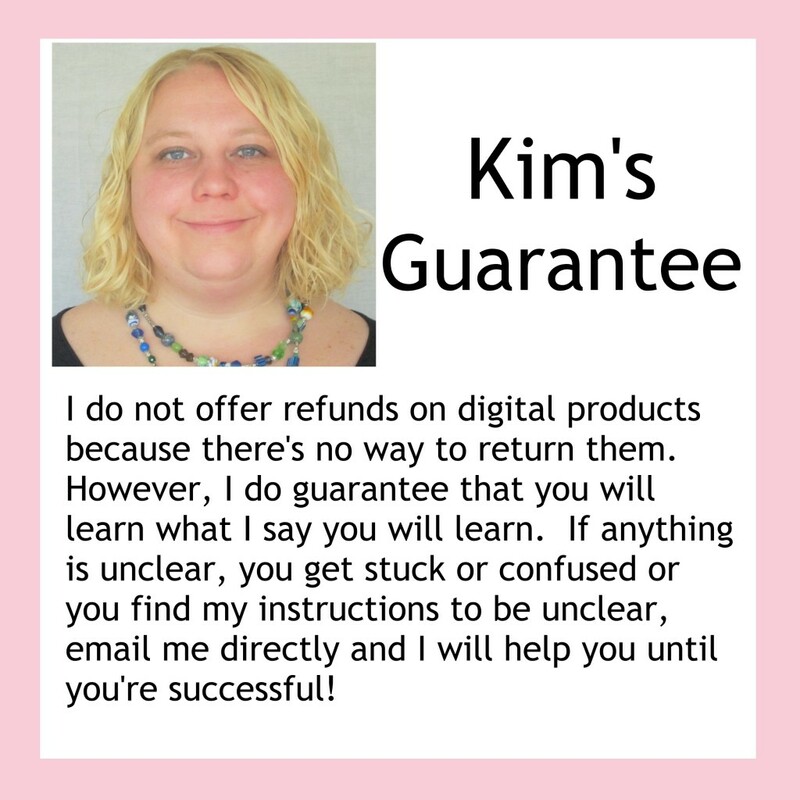 You get email access to me for any question you might have. At the end of the eWorkshop you’ll have an amazing bracelet and the knowledge and skills to make as many more as you like! You’ll improve your jewelry making skills and gain confidence in your artistic abilities. At the end of the eWorkshop, you’ll have a beautiful bracelet that you made yourself! Express your creativity and feel great about yourself! Learn how to make this unique bracelet with an in depth video and PDF eBook. Instead of the tiny, hard to see photos and complicated instructions of other tutorials, my instructions have clear, detailed photos and I’m often told that I make complicated things seem simple. Plus you’ll get the video tutorial as well. I’m Kimberlie Burkhart Kohler. I started making jewelry as a child and started my own jewelry making business in 2005. I have sold online, at craft shows and in my own retail space. I have been teaching online since 2012 and in person before that. Wire is my specialty and I have been making wire jewelry to sell for years. Advanced beginner to intermediate skills. Meaning, if you are brand new to jewelry making, you may find this tutorial challenging. However, if you have worked with wire, even on a small scale, you will succeed on this tutorial. However, I do teach you everything you need to know in the video and PDF eBook to make this pendant, so you don’t need to have any specific skills beforehand. Wire: You can use any metal you prefer. You might want to start with a less expensive wire to start such as copper or a silver plated copper wire and then try sterling silver once you feel more comfortable. 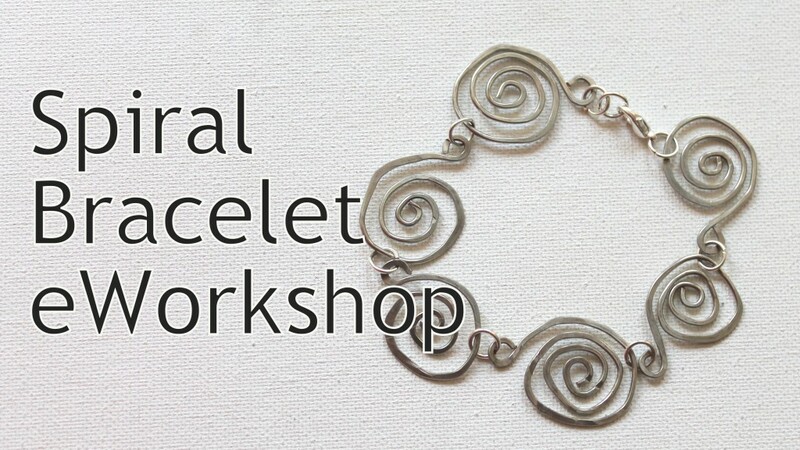 Buy the Spiral Bracelet eWorkshop and get all of this at the great price of $14.00! Much less than you’d pay for an in person workshop! After you complete your purchase, you’ll receive an email with a link to download a PDF eBook. In that PDF you’ll get the tutorial instructions plus the link to the video tutorial and password and the eWorkshop access page with your bonus material.